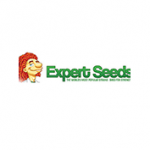 Expert Seeds - Lavender. Free US delivery. The colour is intense with the leaves turning almost black at the end of the plant’s life. The extra-dense buds give off a spicy odour similar to Afghan Hash. The high calyx to leaf ratio makes this a very easy plant to trim. Although not as large as a Haze, Lavender can get very tall on you if you give them a long enough growth cycle before switching to flowering mode.